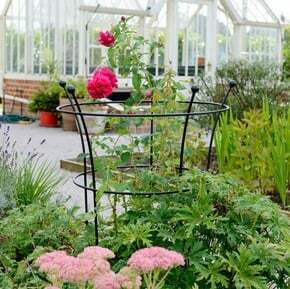 Exclusive RHS endorsed plant supports, designed and manufactured in the UK by us. 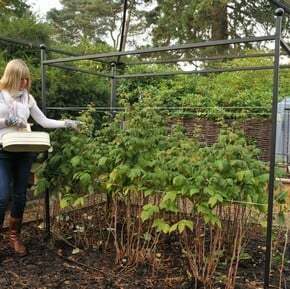 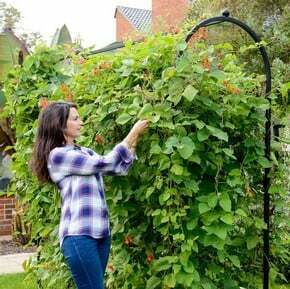 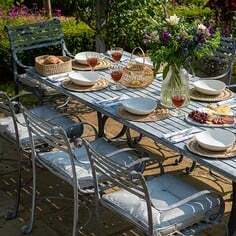 All our garden plant supports are designed and made by us in the UK and include the New RHS Endorsed Harrod wire supports crafted from 8mm gauge round steel rod. 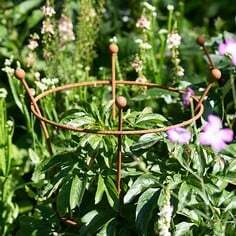 These popular designs are a great way to support any drooping flowers and look stunning in the borders too. 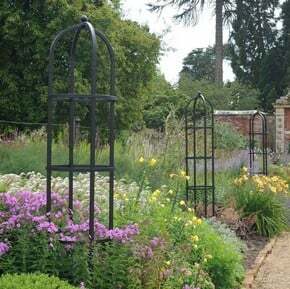 Garden Obelisks are another popular range, available in a range of styles, colours and finishes to complement any garden and provide some extra height to the border. 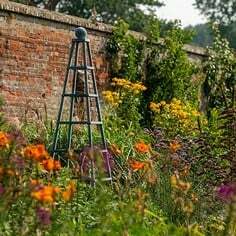 These beautiful obelisks look fantastic covered in climbing flowers and will make a real statement in the garden. 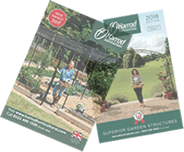 We also have our best-selling range of garden stakes which includes our popular Harrod link stakes and Harrod border restraints. 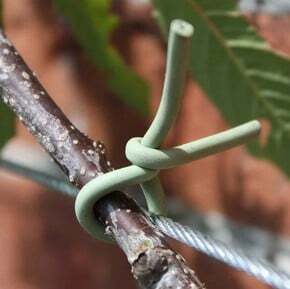 Both are now made from thicker 6mm gauge steel rod, providing practical, long lasting support. 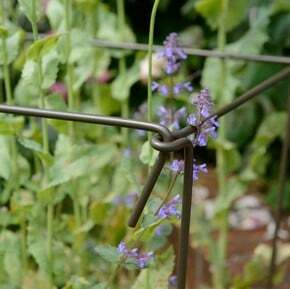 The stakes are available either galvanised and powder coated in dark olive green or they are supplied in plain mild steel which develops an even rust finish over time. 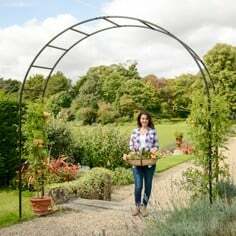 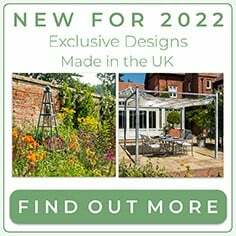 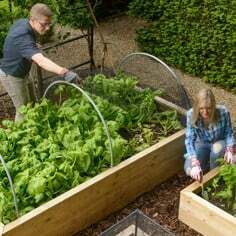 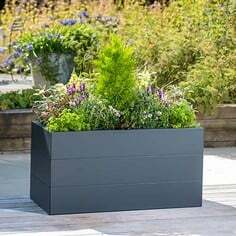 With long guarantees, high quality thicker guage steel rods and a range of styles to suit different plants, our supports and stakes will protect exposed plants and flowers from damage caused by wind and rain for many years to come.